#breakforcist ($2.99) by Kevin John of Lucid Sheep Games is a delightful and purely chaotic brick-breaker arcade game that combines the awesomeness of breakfast with wacky exorcisms. If you enjoyed other quirky takes on traditional games, such as Stagehand and RunGunJumpGun, then you will love what #breakforcist has to offer. Now that I’ve been back from the Game Developer’s Conference in San Francisco last week (and checked out a ton of awesome upcoming games), I’m in the mood for some indie games more than ever before. As I was away, I did notice a ton of new games that hit the App Store, so I have a bit of catching up to do in terms of releases. One that particularly caught my eye was #breakforcist because of the graphics (screenshots matter). 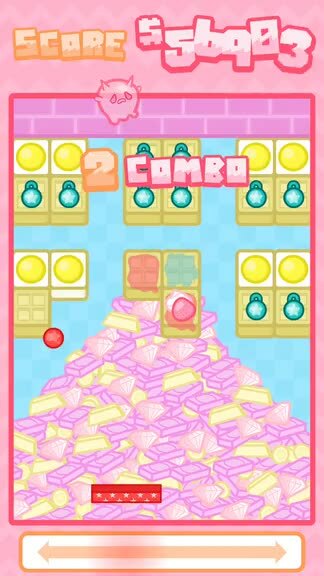 While I’m not the biggest fan of brick-breaker games in general since they get a bit repetitive to me after a while, I was still intrigued with #breakforcist because it was such a unique combination. Plus, I adore breakfast foods, so when that’s in a game, I must have it, along with some breakfast. After playing #breakforcist on the plane ride back to Southern California, as well as many times after I got back over the weekend, I must say that #breakforcist is far from disappointing. 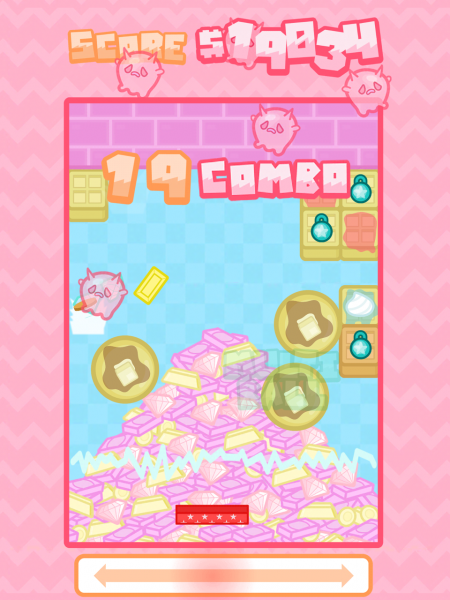 The visuals in #breakforcist are cute and charming with a unique art style that is reminiscent of tokidoki to me. 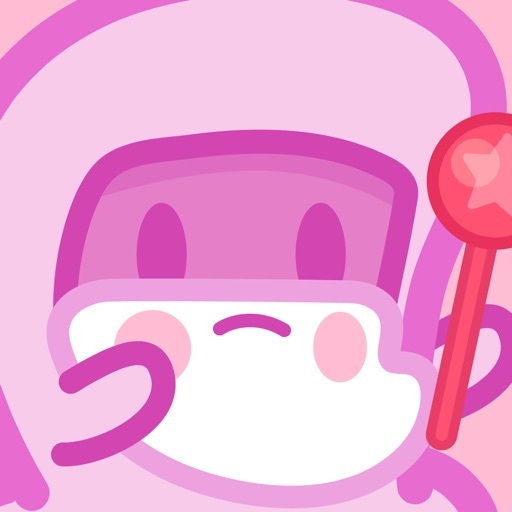 I don’t find games with this kind of art direction too often, so when I saw it featured on the App Store, I knew I had to get my hands on it because I love cute things like Sanrio and tokidoki. In #breakforcist, the visuals carry a flat aesthetic and the color palette is full of bright and vivid pastels that will appeal to anyone who is looking for a fun game. While the game is too fast-paced for one to truly appreciate the artwork, I do like how much detail that the developer put into the game, because everything, including the demons possessing delicious waffles, are endearing with their various facial expressions. The typography in #breakforcist is also cartoonish and bubbly, which just adds to the overall charm. Animations in #breakforcist are smooth and fluid, and I experienced no lag on my iPhone 7. Another fantastic thing about #breakforcist is the soundtrack that is composed by Pete Ellison (he also did the art). If you’re a fan of techno and EDM music, then you’re in for a treat, because that’s all that #breakforcist offers for a hearty meal. 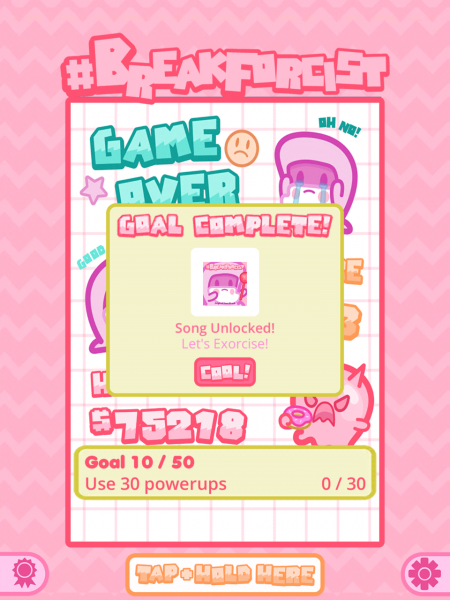 There are even different tracks that you can unlock later on by completing missions, and they’re all captivating and rather immersive, so I recommend getting your favorite headphones on when playing #breakforcist. Plus, the music offers an audible clue when the breakfast bricks are encroaching on the paddle area. Needless to say, I think that both Kevin John and Pete Ellison did a wonderful job with #breakforcist in terms of visual style and audio, which I think are worth the price of admission alone. If you’ve played any brick-breaker games before, then everything should be familiar to you. 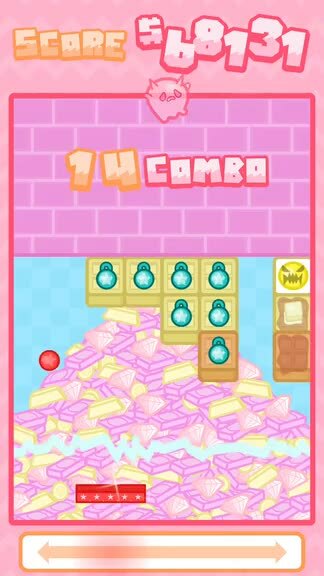 Players will go through an infinite wave of levels that feature tasty waffles and other breakfast foods as the “bricks” that are descending from the top of the screen, and you must clear them out and exorcise the demons that are possessing waffles in the process. 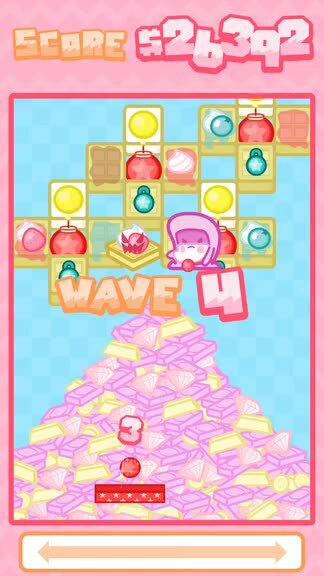 The levels are randomly generated, so it’s never the same thing when you start over, and as you advance through the stages (clear all tiles to complete the current wave), the pace picks up rather quickly. Even if you’re a veteran brick-breaker player, the game can be a bit challenging because there can be a lot happening on the screen at once. The controls in #breakforcist are simple and straightforward enough: along the bottom is your paddle to hit the ball, so you slide your thumb or finger in the area below it to move the bar left or right. When the paddle is hitting the edges of the screen, you’ll know because of the subtle lightning animations that are emitted from the sides. When you lift your finger from the screen for more than two seconds or so, the game automatically pauses, and there’s a countdown when you return so you have a few seconds to prepare before jumping back in. There are a ton of power-ups in the game that you can use to your advantage as well, which are activated as soon as you break a breakfast brick containing one. If you can rack up a combo of multiple hits and power-ups, things get a bit crazy on the screen, so it can be hard to keep up with everything sometimes. I do wish that the area for the movement was a bit larger, and the space at the top of the screen reduced a bit so that the rest of the game can be pushed upwards for more control space, since it feels a tad cramped on my regular iPhone 7. 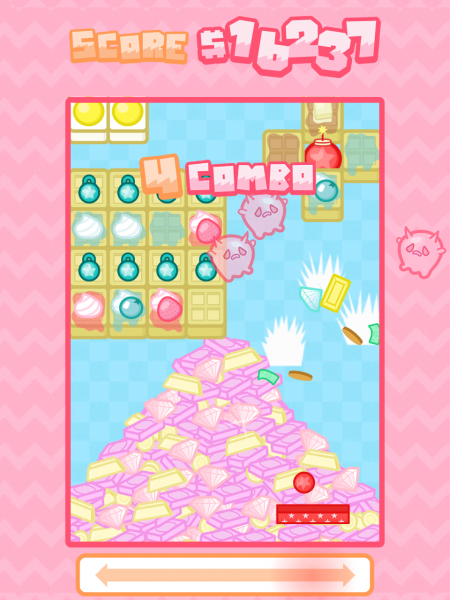 At the start of the game, you’ll only have access to a few power-ups. However, as you complete the goals, you’ll be able to unlock more power-up options that become available to you throughout the game, as well as more music tracks and even iMessage stickers to use. 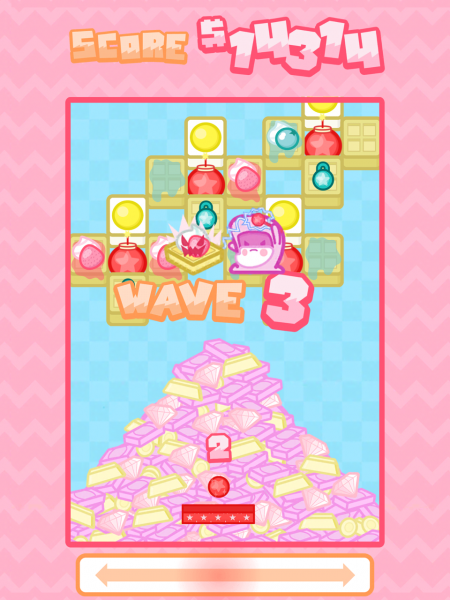 Your score is determined by three factors after clearing each stage: Wave, Speed, and Style. The Wave element is pretty obvious — the higher the level you are on, the more points you earn. Speed is how fast you clear the stage, and style is determined pretty much by how crazy you can make things by getting a huge combo or having a ton of power-ups active at once. Essentially, you earn Style points by exorcising all of the breakfast demons with some flair and sass. If you get rid of them all but in a boring, traditional way, then you will get no Style points. I’ve had #breakforcist for a few days now and I’ve been thoroughly enjoying it when I have some spare moments throughout the day. 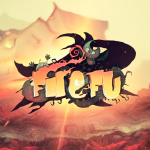 The game has adorable graphics that’s full of quirks, the EDM music is top-notch, and it’s a fun new twist on classic gameplay. Plus, how can I resist a game full of breakfast foods (the best meal anytime of the day) and cuddly-yet-dangerous demons? While some brick breakers feel repetitive, I think #breakforcist is fun and interesting enough with goals that it keeps you coming back for more. 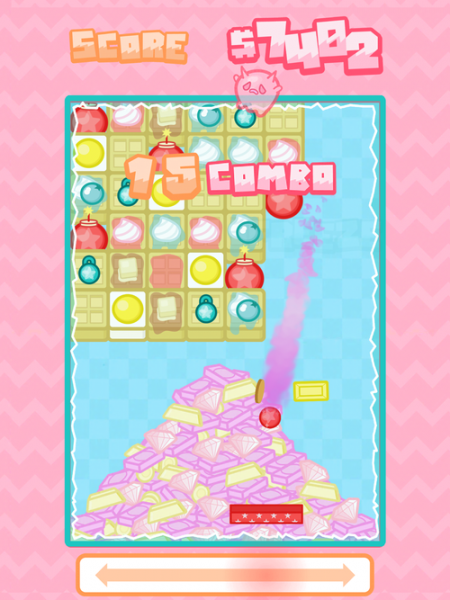 I highly recommend giving #breakforcist a try if you’re in the mood for a cute and tasty brick-breaker arcade game. 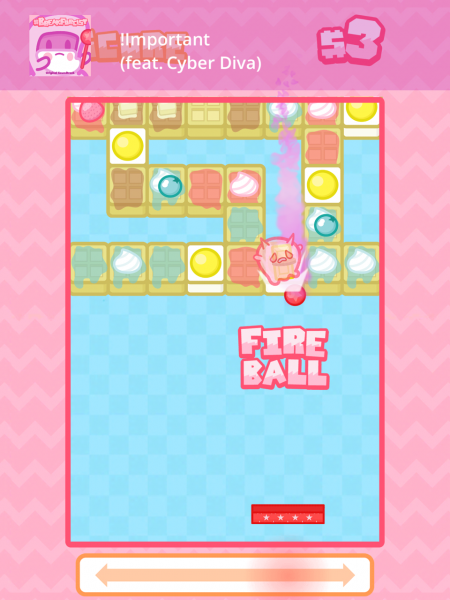 Breakforcist is available on the App Store as a universal download for your iPhone and iPad for just $2.99. 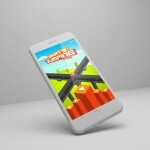 There are no in-app purchases and there are iMessage stickers included.